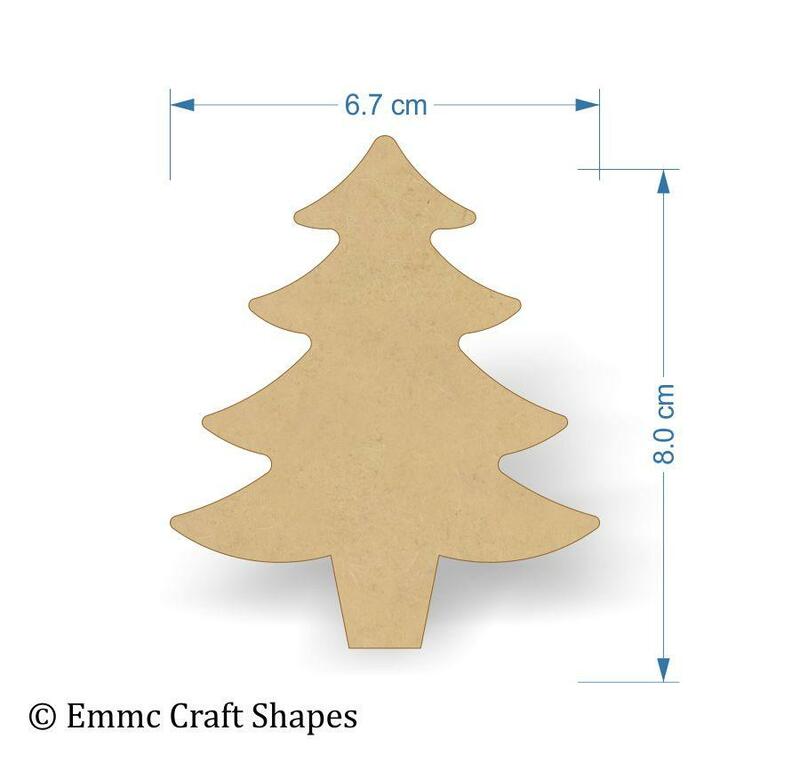 Wooden mdf Christmas tree crafting shape. 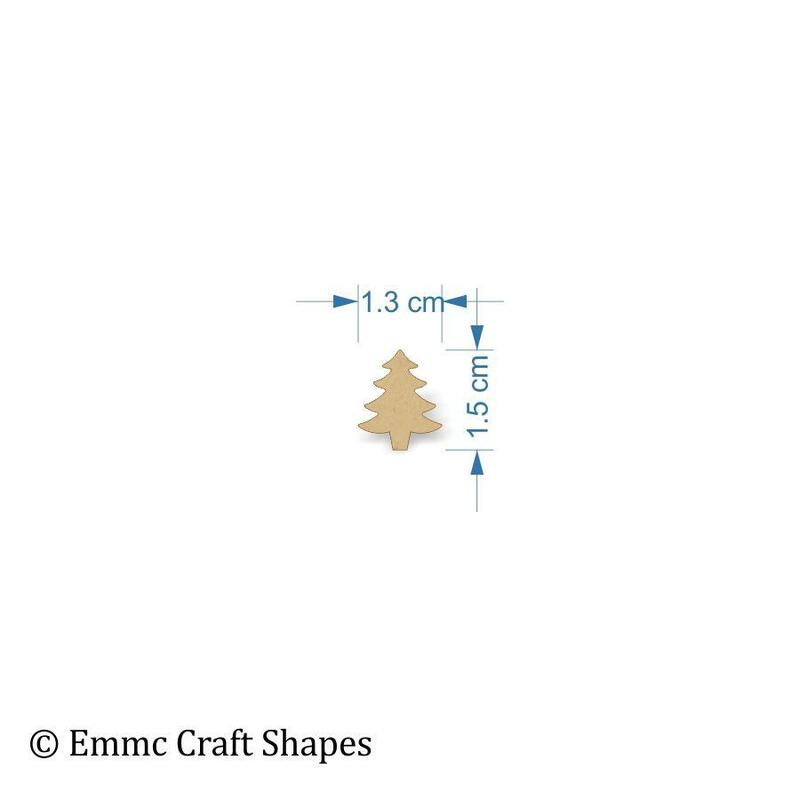 Our Christmas tree shapes are a lovely traditional tree design. Whether you want to paint, decoupage, colour in or add some embellishments. 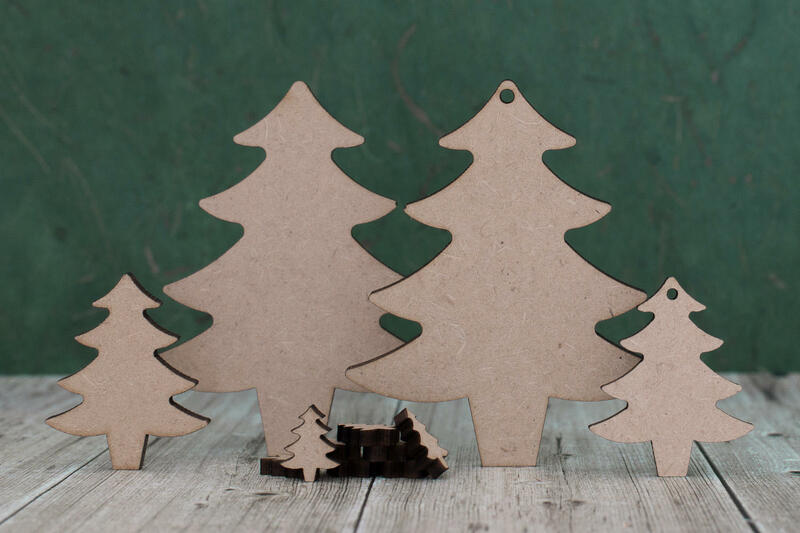 Laser cut 3mm mdf, has a wonderful smooth finish suitable for all kinds of craft. 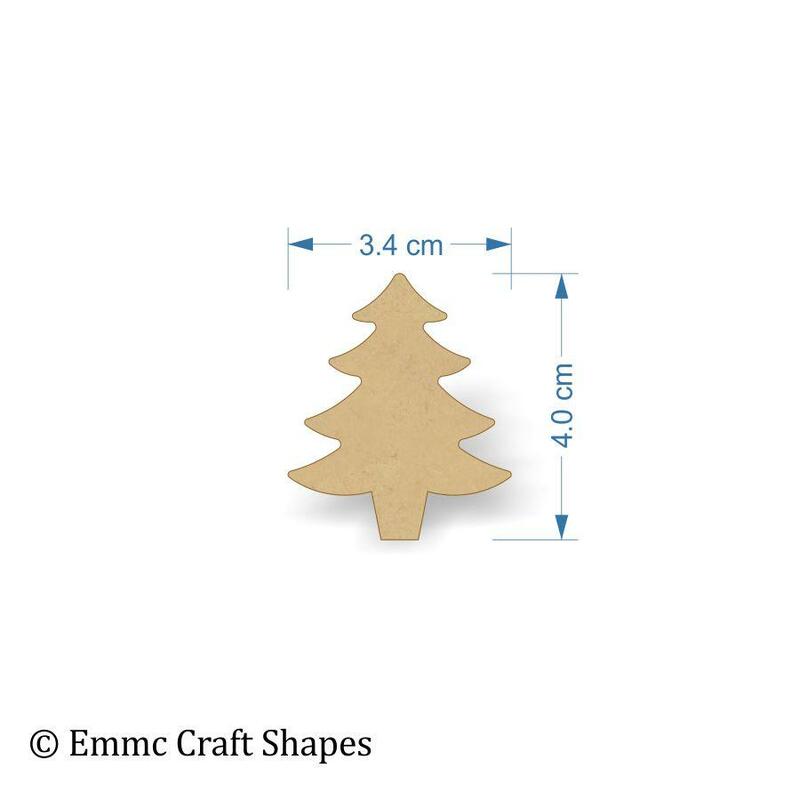 The Christmas tree shapes can be crafted into plaques with a seasonal greeting, Christmas sparkle or Christmas theme. Use our hole option and the tree shapes can be used as hanging decorations. Hang them from your Christmas tree, or string them together to create a bunting style decoration. If you require a different size Christmas tree shape to those shown, please do not hesitate to contact us and we will be pleased to help you. 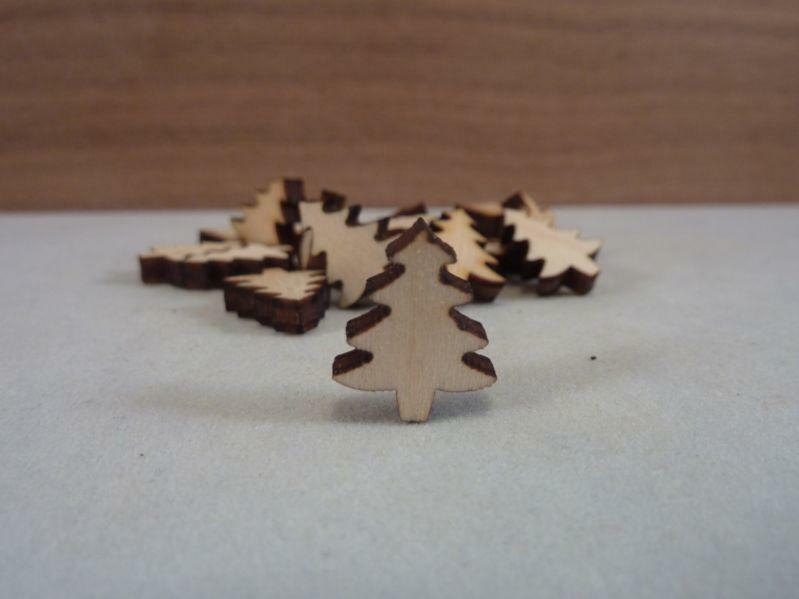 We also stock bulk supplies of the Christmas tree shapes, see our bulk supply page for more details.